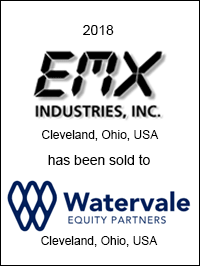 EMX Industries, Inc. and its subsidiaries has been sold to Watervale Equity Partners, a Cleveland-based private equity firm. EMX, headquartered in Cleveland, Ohio, is a leading manufacturer of sensors and controls for the access control industry and process automation applications for various industrial markets. The Company’s main product categories include photo-eyes, vehicle detectors, color sensors, luminescence sensors and other custom specialty sensors. 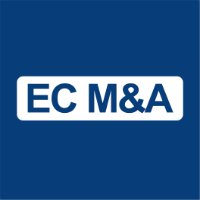 EC M&A acted as exclusive financial advisor to EMX in this transaction.